Porcelain veneers are ultra thin shells of ceramic material, which are bonded to the front of teeth. This procedure can be the ideal choice for improving the appearance of the front teeth. Porcelain veneers are placed to mask discoloration, to brighten teeth, and to improve the smile. 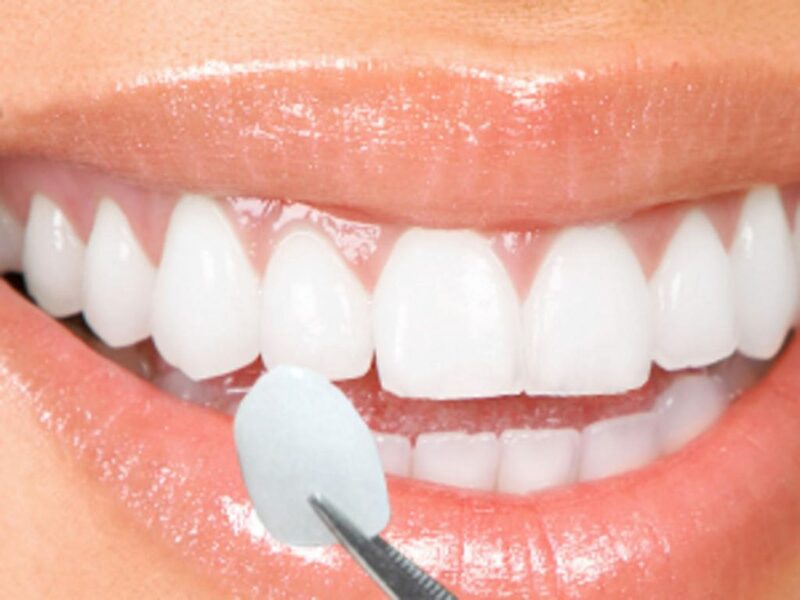 Highly resistant to permanent staining from coffee, tea, or even cigarette smoking, the wafer-thin porcelain veneers can achieve a tenacious bond to the tooth. Their aesthetically pleasing naturalness is unsurpassed by other restorative options. They are a treatment option that is very conservative with the amount of tooth preparation needed. These restorations will usually require 2-3 appointments. Initially, there is an appointment for preliminary impressions and photos. Next an appointment for tooth preparation, impressions, and temporization. A dental lab will take this information and fabricate the veneer restoration for seating at a subsequent appointment.